YG entertainment's Yang Hyun Suk expressed his self-confidence about Big Bang Taeyang's upcoming solo album. On May 29, Yang Hyun Suk unveiled all the information on Taeyang's new album. Yang Hyun Suk usually leaves all the albums up to YG's artists, unlike SM who manages and handles this and that through its systematic A&R(Artist & Repertoire) system. Even when Yang Hyun Suk wants to release one's album right away, if the artist says he needs more time, the album release has to be postponed. That's why the album release of various YG artists such as Psy, Winner and Big Bang are being delayed. So, in case of Taeyang, Taeyang said OK and Yang Hyun Suk said OK, which means they have confidence in album perfection. 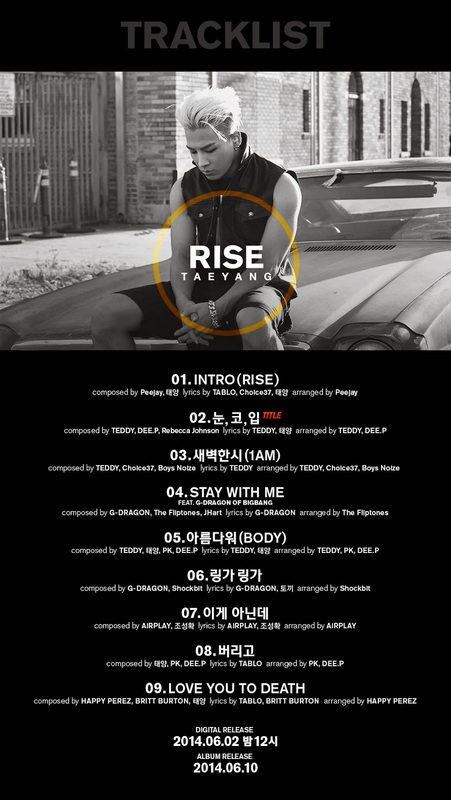 Taeyang's new album titled 'Rise' is going to be his second full album, while it includes a total of 9 tracks. It has been 4 years since he released his first full album 'Solar' in 2010. The title track is 'EYES, NOSE, LIPS', a joint production of YG's main producers Teddy and Dee.P, while the album also includes 'Stay with me', composed and written by G-Dragon. 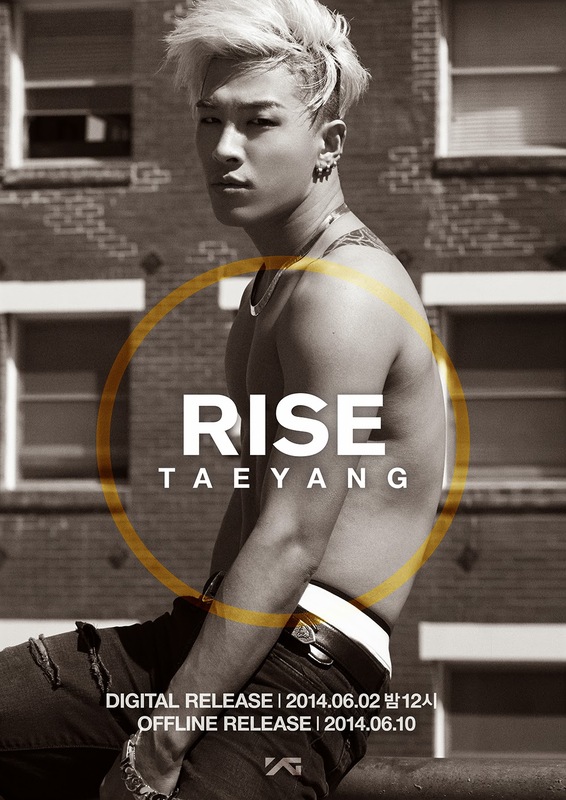 track, but 'EYES, NOSE, LIPS' became the single title because when Taeyang sang the first line, it was so powerful that our plans of the past few years simply evaporated." And added, "The excitement was passed on to me as I watched him record the song, I even suggested, 'Young Bae, what about filming an M/V like this for this song?'. This was the first time for me to propose an idea for a music video for a YG artist since BIGMAMA’s 'Break Away' music video 11 years ago." Here's the music video for BIGMAMA's 'Break Away'. How do you like it? Anyway, 'EYES, NOSE, LIPS' is a slow R&B slow music that steers away from dance moves and maximizes the strengths of Taeyang’s sentimental voice. Yang Hyun Suk stated, confidently, "Despite having 20 complete songs that Taeyang recorded for the 2nd album, we carefully selected 9 songs in respect of his wish to focus more on quality than quantity but all songs are truly exceptional that they could all be title tracks. Although there are more I want to say about the latest album I believe it is right for Taeyang to do it himself when it is released." He also commented about Psy and Winner's upcoming album, stating, "I will be back soon with more details on Psy and YG’s new boy group Winner." I asked the official when Psy, Winner, Big Bang and new girl group's albums will be released, and he told me, "As you know, we respect artist's opinion. It's up to the artists."